This is all thanks to a pilot program the district debuts this year at all local public elementary schools. The program, called the Community Eligibility Option (CEO), provides breakfast and lunch to all elementary students regardless of income. The program is federally-funded, comes at no additional expense to local taxpayers, and benefits children by providing more nutritious meals with less paperwork. Food service dollars pay for this program separately from the district’s general operating budget. These funds can only be used for food service expenses. Schools participating in the CEO pilot program include all public elementary schools in Marion County, two charter elementary schools, and Fort McCoy K-8 School. Next year, district officials will evaluate the CEO program to compare participation rates and gather feedback to determine future participation in the program. Belleview Elementary houses the Community Extended Day Program for students before and after school. 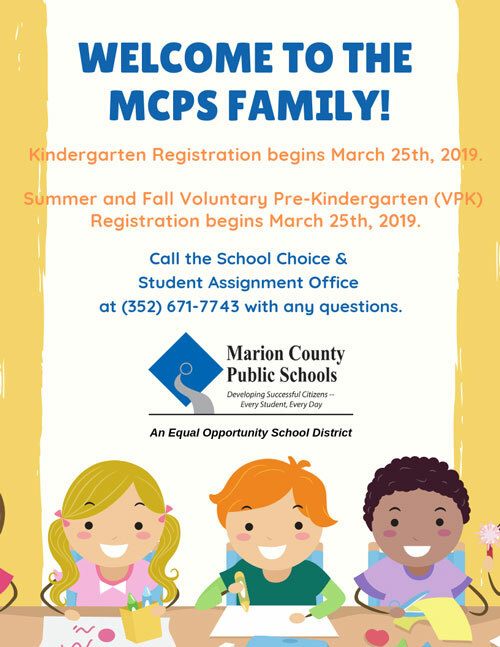 This program is offered through the Marion County School Board's CTAE.EDU Registration is during hours of operation. See Extended Day Fee Schedule for more details. When parking on the grass near the gate or by the road, please arrive before 2:05 and back your car in to park. This way you will have a clear view when you leave. You must walk to the front gate and show your card to the person on duty before your child(ren) will be released to you. Once the buses begin moving to exit the school, do not attempt to pull out until all buses have exited onto the highway. Please avoid bringing animals with you to the front date as a curious child may try to pet the animal and startle even a well behaved pet. Thank you for helping to keep our students safe and to avoid vehicle or pedestrian accidents at dismissal.